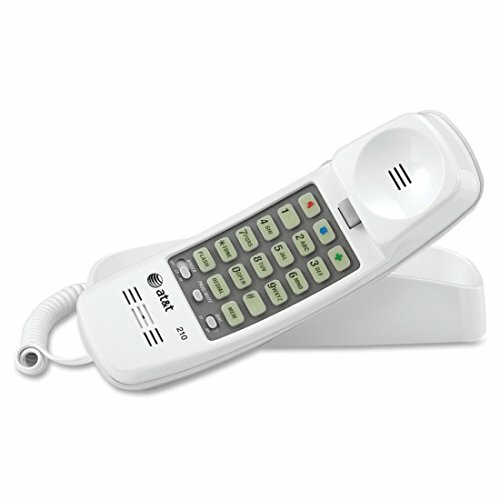 This white AT&T 210 Corded Trimline Phone with Speed Dial and Memory Buttons is ideal for those who enjoy the convenience of a home phone. Easy to place on an end table or countertop surface or mount on the wall this Trimline Telephone has several convenient features that make placing calls hassle-free. This AT&T 210 Corded Trimline Phone with Speed Dial and Memory Buttons has speed-dial for up to 12 numbers three one-touch memory buttons and one-touch redial so you can instantly connect to whomever you want.